Autumn is slowly arriving and the beach vendors have packed up their trampolines and swings, so it must be time to start thinking about the next Adventure. Here is an Orb that I saw recently in Deal, Kent. 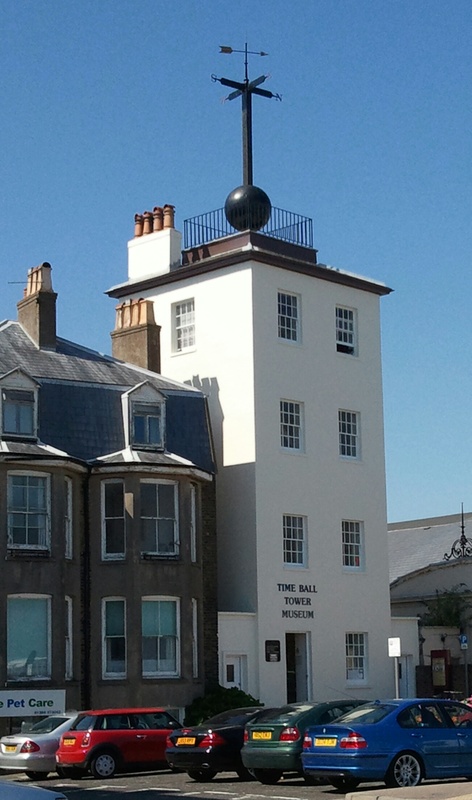 The Time Ball signals to ships when it is midday in Greenwich – the ball drops at 12 noon everyday and all the ships anchored off the coast can adjust their shiny new chronometers accordingly before setting off to the other side of the world. Hmmm – just noticed that WordPress wants to show ads on this page. Apologies if this is annoying. I will look into changing things. You are currently reading Time to start planning a story at adventures in comics.